Kelly Dawson Author: ~ The Code of the West ~ WipItUp Wednesday! ~ The Code of the West ~ WipItUp Wednesday! 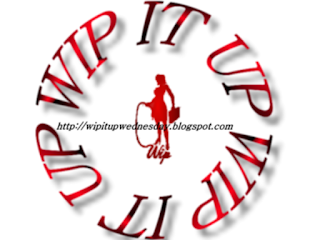 Welcome back to my blog for this week's #WipItUp Wednesday blog hop! This week I'm continuing on from the excerpt I shared last week ... if you missed that post, check it out here. She could hear the beat of Davey’s heart as he wrapped his arms tightly around her in a protective embrace, pounding in an erratic rhythm, getting faster and faster as the fight wore on. She didn’t need to see the fight to know what was happening – she could hear it in the groans of the men. She could feel it in the grip Davey had on her, the grip that kept getting tighter and tighter even though she remained still. The minutes ticked by. She could hear blows landing, accompanied by muffled grunts. Davey’s arms held her tightly. She was clutching his shirt in one hand, her other fist was stuffed into her mouth to stifle her screams. Suddenly, Davey loosened his grip. Something was happening! Cautiously, she peeked back over her shoulder just in time to see Woody passing Mr Jordan a knife, the blade small but sharp. She breathed a sigh of relief. Now the fight was even, and Cal hated fighting under those odds. Mr Jordan had taken a beating – blood oozed down his arm, it stained his shirt, his face was swollen and bruised, one eye was partially closed already. How much more of a punishment could one man take? She closed her eyes again, pressing her face back into Davey’s shirt, clutching the fabric tightly in both hands. She couldn’t watch. Then there was silence. “It’s over,” Davey whispered in her ear, spinning her around so she could see. KELLY DAWSON! You cannot leave a girl hanging like this, not once, but twice! Who won?! Did Mr. Jordan kick Cal's behind or else did Cal pull another trick out of his sleeve?! Ahh! I need to know!